Thanks to our friend Presidential Director Karen Morris for contributing today’s post! Hasn’t everyone experienced special times that we savor and simply KNOW we’ll never forget? But the truth is, memories fade and those moments are lost. That’s why I am passionate about memory keeping—the complete package of photos accompanied by journaling. They say, “a picture is worth a thousand words,” but not really—photos need your words. 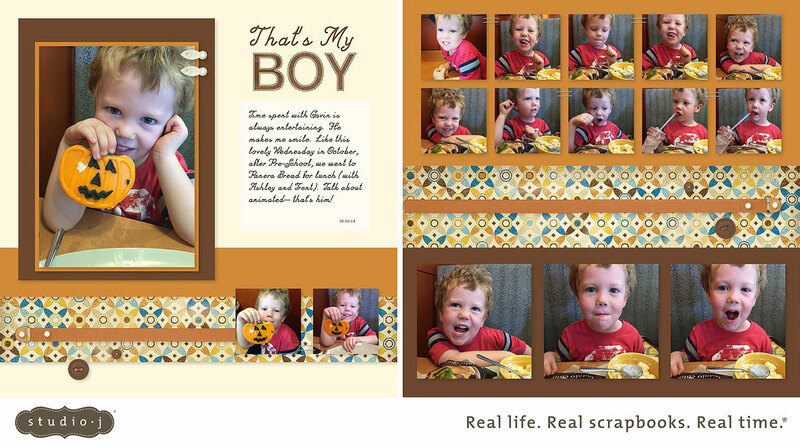 Saving memories in photo albums and scrapbooks keeps those “snapshots of time” real and everlasting. Today I love and use three types of memory keeping: traditional 12″ x 12″ handmade scrapbook pages filled with photos, notes, and embellishments; pocket scrapbooking with Picture My Life™ scrapbooking programs, which have helped me catch up on several travel albums; and, last but not least, digital pages from Studio J®. As you browse my albums, you’ll see a mix of all three styles and it works beautifully! Our family also includes the four-legged variety. Currently we have a cocker spaniel and three shih tzus, each with their own personality. Being that they are part of my life’s experience, I also do pages about them. When we unexpectedly lost a previous family pet, Murray, at a young age, I created this tribute to him. I create memory books and fill them with what matters to me. They’re a chronicle of my life, my experiences, and my heart. What matters to you? I just want to say that this was THE MOST amazing post I have read this year! So inspiring! Your layouts are delightful as well, but your heartfelt post was above and beyond beautiful and rang true with me and I am sure many more who REALLY take the time to read it! Thank you for sharing! It was a delight to read this post and get to know you and your work better! Have a great Monday and know that you touched this woman’s heart with your share! Love it! We always seem to think we could never forget how we feel about something …….. but the honest truth is that time can dim things ……… and how special it is to be able to look back and see EXACTLY what it was you were feeling in the moment…………. It brings it all right back. What a wonderful post! And so well said! I discovered ‘scrapbooking’ about 14 years ago and since I just loved taking photos and had hundreds in packets carefully labeled this was for me! The next thing was sharing my new passion! As Karen says, the words are what it is all about! The girls laugh about the ‘J’ word I always use! A big THANK YOU Karen for saying it so well. Amazing! This exactly why I would love everyone to have these albums. Very nice! These are all beautiful pages. I especially like the twin babies and your 4 year old pages! Love this post – it was so genuine, warm and heartfelt! What a beautiful post, Miss Karen! Thank you for giving us a little glimpse into your life. You are precious! This is an awesome blog! It is my fondest wish that every grandmother and every grandchild could experience this as often as they want to. 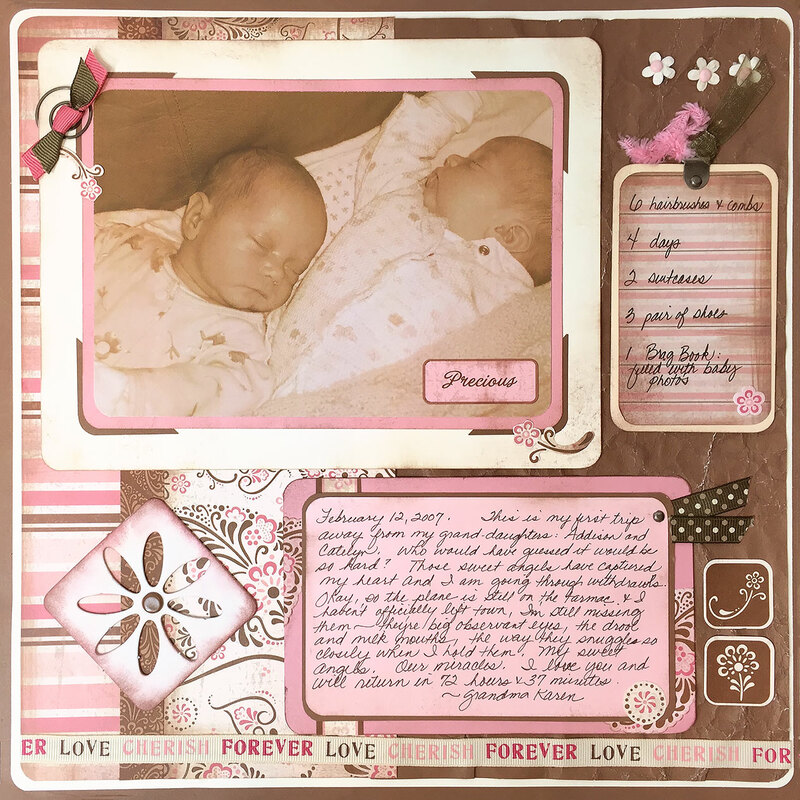 What a wonderful post on why scrapbooking is so important! Thank you for sharing your memories. I loved the dedication layout of your beloved dog. I wrote a blog post about our sweet miniature Schnauzer, Lily, whom we lost in January, 2013. Blogging is another form of memory keeping that wasn’t mentioned. I will be combining that particular blog post information with pictures of our pet. The pictures were printed using Studio J. Those two styles will create a new scrapbook. I am now not certain where you are gettring your info, but great topic. i was wondering if u can help me?